This book of poems, thoughts and autobiographical sketches tells the story of the author's struggle with depression, betrayal and low self-esteem as she overcame fear and struggled to find a new home in the aftermath of the Christchurch earthquakes. In traumatic times, even when she thought she couldn't see the way ahead, her loving Saviour carried her and went ahead of her to prepare the way, to provide and to guide. 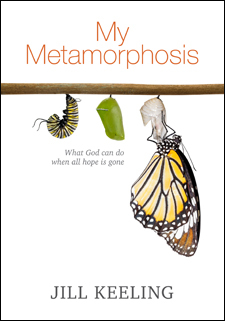 Above all, this book tells the story of a transformation. If you will let Him, God will change you from the inside out. No matter what you are facing in life, God is the answer; once you team up with Him, He will never, ever let you go.